I did it, folks! I finally started hiking the Appalachian Trail! I just decided there wasn’t anything to do but to do it and started out! That’s a total lie. There’s not a bone in my body with enough spontaneity to ever seriously utter those words about anything except ripping off a Band-Aid. But I did – FINALLY – knock out my first section hike. It was about a 100-feet-long section – but it was still a section so shut your mouth. Also, I did it without oxygen. Yes, it was 100 feet on a road atop Fontana Dam, but I DID IT, darn you. So saying I completed a section hike might be a bit of a stretch. I read somewhere once that if the water levels in Fontana Lake are low enough, you can see the old roads that were flooded over. The water was still quite low, but we didn’t find anything but dirt. My Hike Eight is a bit of a cheat, but I couldn’t help but throw this in here. The day we hit Juney Whank Falls, we kept driving around the area. I’m not really sure how or why, but we ended up at Fontana Dam. Last year we came close to it when we visited the Road to Nowhere. We drove up hoping the water level would still be low enough for us to see some of the old road that was flooded out, but we either weren’t in the right spot or the water was already over it. Nevertheless, I checked out the giant Appalachian Trail board outside their visitor’s center and we all walked around the dam. 100 feet down. 11,447,040 to go. And now, for a hike outside the Ohio, Kentucky, Indiana tri-state area! 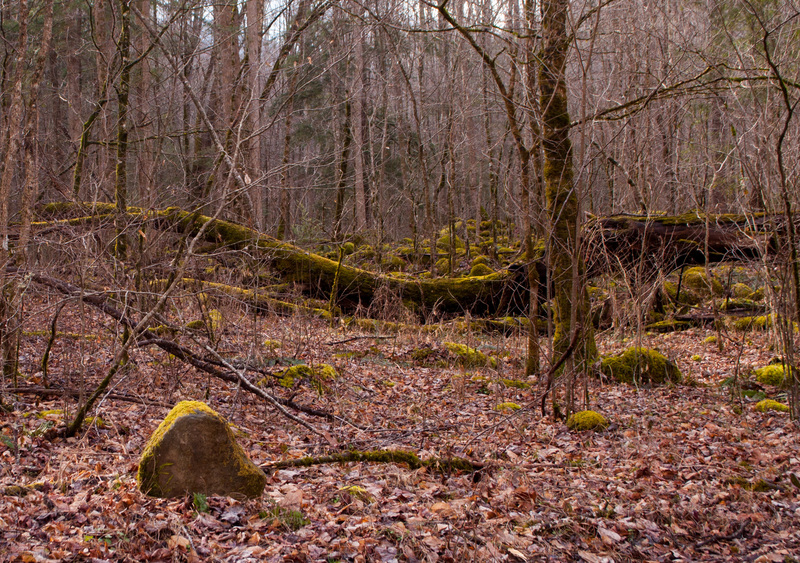 Its been a while since I hiked more than 50 or so miles from home, but on my family’s annual spring trek to the Smokies I managed to talk them into a hike – however short it was. It was mother/daughter selfie time with a quilt about one of our favorite movies! Every year there is a quilt show in Pigeon Forge, Tennessee, for which Mom basically offers my brother and me a free trip. I go with Mom to the quilt show and Cory (my little brother) goes with Dad to do manly-man things. Everyone wins – including me because I get to look at something pretty and say, “Mom! Make me that!” Usually, she will. Last year, the boys hiked somewhere and found and old, forgotten graveyard. When I tried to get them to take me to it the next day, they claimed they couldn’t remember where it was. This year, while Mom and I wandered through convention center displays, they bought tools and then went back to the hotel to sleep. Basically, it was their usual Friday. So now you know where I get my goofiness from. Dad was feeling rather victorious after tackling the switchbacks of the quarter-mile trail. Saturday broke a rainy, gross, cloudy day. But by the time we got through a hearty, southern breakfast, the sun was chasing the clouds away and I managed to talk everyone into going waterfall hunting. I thought I found a relatively easy hike, even for my broken lungs and my parents’ old knees. But like everything in the mountains, looks can be deceiving. Mom found a copy of The “Smokies Guide,” the self-proclaimed official newspaper of the Great Smoky Mountains National Park, somewhere and the “Places to go” section listed a couple of places I haven’t been before. 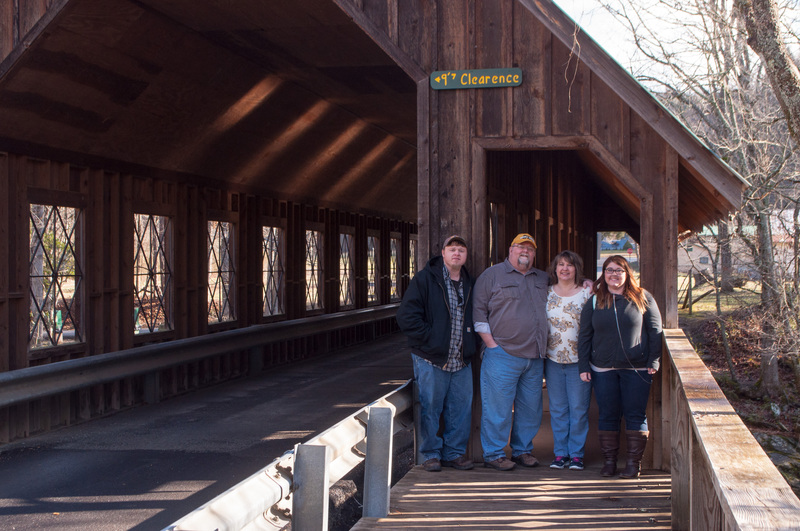 We decided to choose a place none of us have been, and headed to Bryson City, N.C. to pick up the road to Deep Creek. The Deep Creek area is full of waterfalls. This Barbie-doll sized set of rapids is the first one you’ll see when you leave the parking lot. I’ve been to the Gatlinburg and Pigeon Forge area of the Smokies more times than I can count. The mountains in that area haven’t lost their majesty, but the traffic and the crowds certainly have. The last few times I’ve gone down, I’ve spent most of my time on the North Carolina side things. It’s not necessarily always less busy, but there at least seems to be more places that aren’t completely overrun with tourists. 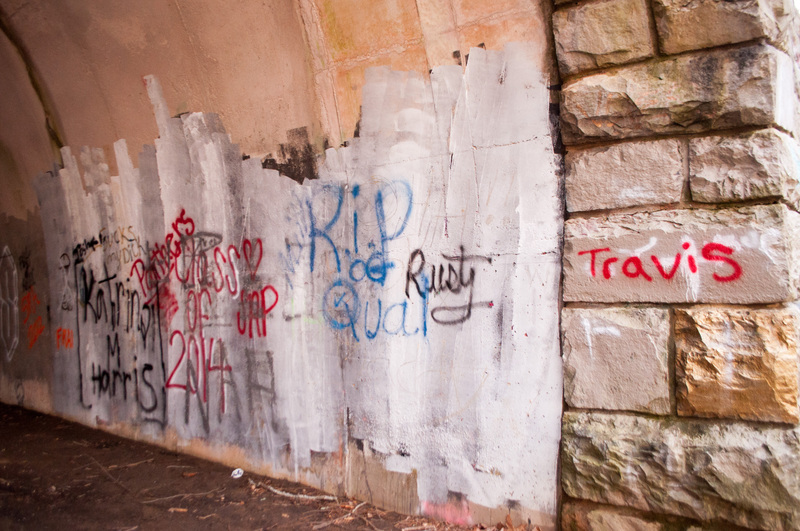 The “Smokies Guide” calls Deep Creek off-the-beaten-path – and it definitely was. We passed through a holler outside Bryson City that looked like the kind you didn’t want to break down in, if you know what I mean. Right about the time my parents pointed this out, I realized this was just the kind of spot I wanted. Although the Park Service advertises Deep Creek as one of the few areas in which mountain bikers are welcome, we didn’t see anyone on bikes. Just a mostly-full parking lot and several off-season couples and families wandering about. I’d say that even though the area is a bit off the main drag, it still gets very busy in the warmer months. There are several trails of varying length and intensity in the Deep Creek area, and we chose the shortest one because no one enjoys being outside as much as I do, and my parents have old joints. Juney Whank Falls is the easiest to reach, but you climb about a quarter-mile of switchbacks to reach her. Once you reach the falls, the trail divides to go above and below the falls. You can either take the trail past the falls further uphill to loop back around to the parking lot, or you can turn around and take the devil you know back down to the car. We took the devil we knew and went directly back downhill. I’m giving this trail a solid middle ranking. It’s a very short, very clear and well-kept trail. By that I mean you won’t be tripping over rocks and roots. But it is almost entirely uphill, so be prepared for your cardio when you hike this trail. The hike was short, but pretty. It was also not a hike I should have tried without Gus; my oxygen level dropped to 78 before I sucked it up and plugged in. After that, my rest breaks got farther apart than about every 15 feet. 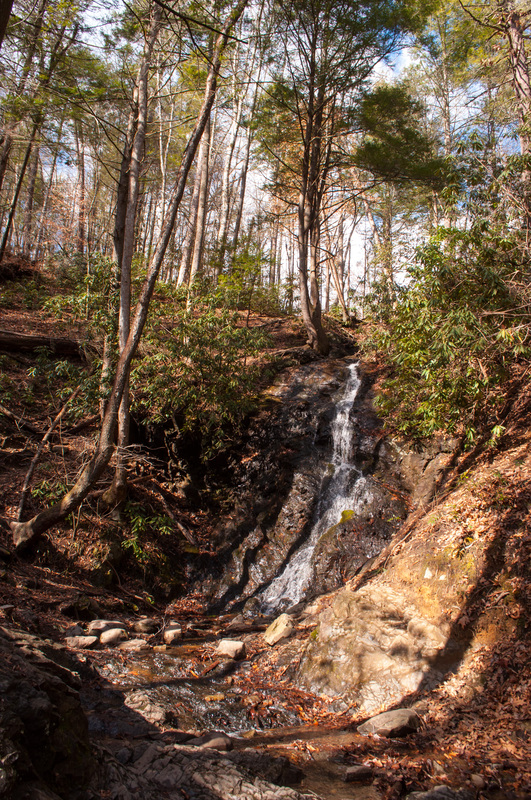 If you want to go farther on the hikes, the North Carolina Waterfalls site has a lovely post that takes you farther along the Juney Whank Trail to show you the other two waterfalls in the Deep Creek area: Tom Branch Falls and Indian Creek Falls. What’s this Road to Nowhere? Popularly called “The Road to Nowhere,” North Carolina Highway 228 construction was halted in the 1970s due to environmental concerns. Residents of the state fought with the Federal Government until 2010 to receive compensation for the unfinished road. In a complete coincidence, I’m bringing you another tale of controversy in the Great Smoky Mountains National Park’s history. Or maybe it isn’t really a coincidence, its just a throw back to my days of being a newsie. I don’t remember ever actually running around the newsroom screaming, “If it BLEEDS, it LEADS!! !” but knowing me, its entirely within the realm of possibility. Not that I seek out controversy for the sake of it; but it does make for a more interesting plot. Scene: Another tranquil place in the Smokies. Its late March, around 60 degrees and sunny. Not many birds are out yet, so the only sounds you hear are leaves underfoot and, of course, my breathing. A gentle breeze tickles your arms and makes you grateful for the sun’s warm rays beaming on your scalp. 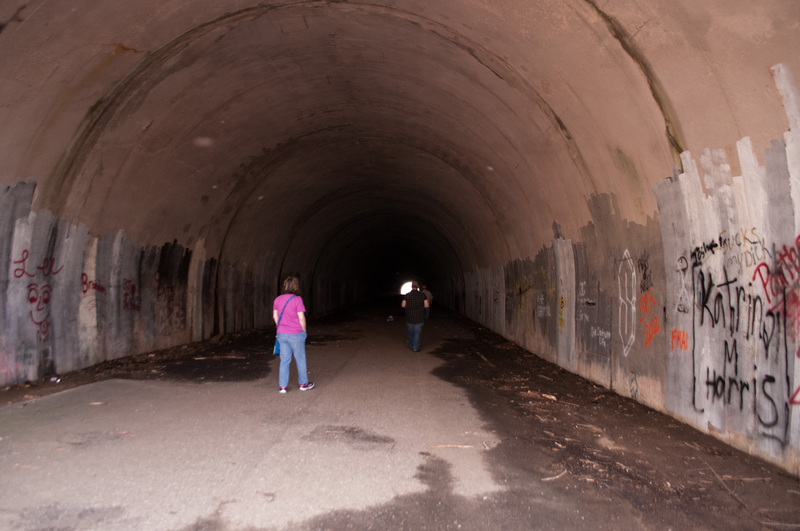 A short walk up a slight incline will take you to the deceptively-long tunnel. I didn’t think there was much to the tunnel, until I was in its belly. Devoid of sunlight, the center of the tunnel swallows any light – including the flashlight on my iPhone that seems so bright when I’m looking for a dropped earring. And remember that gentle breeze? Its turned into a downright cold wind. I’m visiting Gatlinburg for the second time this year – already more than I’ve been in the last few years. This time around, Mom wanted to go to a quilt show and did not want to go alone. Will I walk around a quilt show with my beloved mother for a nearly-free-for-me trip to Tennessee? Absolutely! My reward was a day trip into North Carolina the following day. If you go to Bryson City and follow Everett Street out of town, it will dead end eight miles out in the Great Smoky Mountain National Park. So, why is there this random road that literally goes nowhere? The answer lies some 50 years ago in the mountains. The players in this drama are The Aluminum Company of America, who had been building dams in the area to provide power to their plants nearby in Tennessee; the Tennessee Valley Authority, who was concerned about the effects of flooding along the Little Tennessee River; and the United States Department of the Interior, the Big Daddy of the Park Service. When the Department of the Interior was putting the Great Smoky Mountains National Park together in the 1930s and 40s, it acquired vast tracts of land from Swain County, North Carolina. Part of this tract of land included Highway 288, which connected Bryson City with Deals Gap. This road was left alone – until World War II when growing electricity demands gave someone the bright idea of harnessing the power of the Little Tennessee River. Added bonus: creating a hydroelectric dam would also help produce aluminum for the war effort. By 1935, when the Tennessee Valley Authority got involved, the Aluminum Company of America was working on the Fontana Dam project. The TVA wanted in on the action, but couldn’t get enough funding to complete the dam until World War II broke out and aluminum was in high demand. Once funding was secured, ALCOA signed their land over to the TVA in exchange for the rights to the output of the dam. To create the hydroelectric power for the factory, a reservoir would need to be created – present-day Fontana Lake. To accomplish this, 1,311 families, 1,047 graves and over 60 miles of roads had to be relocated – including Highway 288. Four towns – Fontana, Bushnell, Forney and Jusdson – would be covered with water. In exchange, the Department of Interior agreed to create a road – or rather, move Highway 288 – that would allow displaced residents passage to the cemetery on the other side of the lake. This road would also grant access to some of the more remote areas of the Park. The dam was completed in late November 1944, in time for the closing months of the war. Construction of the new Highway 288 was intermittent until the 1970s when it was halted for good. I’m not entirely clear about what, exactly, the environmental concerns were that halted work 40-odd years ago. I read something about construction releasing toxins from the soil and contaminating water supplies, but that was a comment on a road trip website. With construction stopped, residents became bitter about what they considered a broken promise and the topic became popular fodder for local politicians. Those who wanted construction to continue said the environmental concerns were exaggerated. Opinions are rampant, even among people with no ties to the region except taking a vacation there once. It looked like construction could resume after funding was secured for the road in 2000 by a North Carolina Senator, but an environmental study released seven years later said that completing construction would cause too much damage to the area. 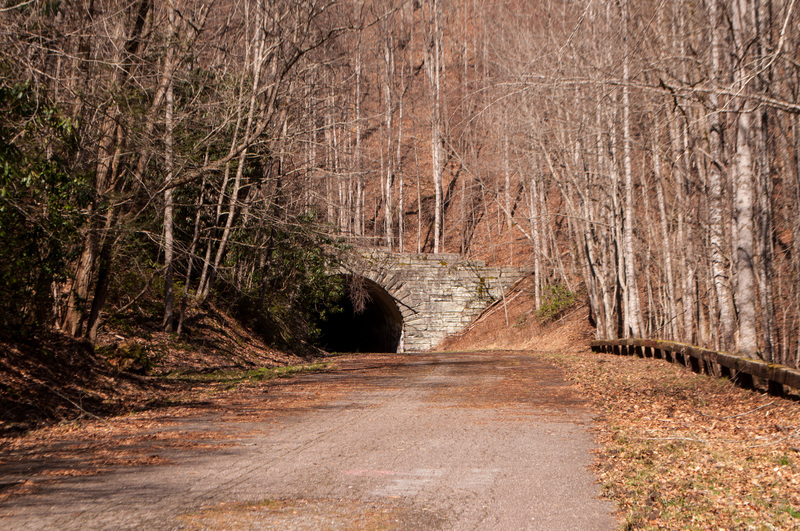 The controversy reached its end when Swain County agreed to take a cash settlement from the National Park Service in exchange for the road. Today, the road exists as another testament to the evolution of our national park systems and sacrifices that were made to create our public lands. The Park Service operates a boat in the summer that ferries visitors to the old cemetery and trail heads on the far side of the lake. In winter, lowered lake levels allow hiking in the reservoir basin along the ghost of Highway 288. I rate my adventures based on oxygen tanks, ranking from one to five based on how taxing the activity is on my pulmonaries. I’m rating this attraction a three because even though its a short hike, there is a slight, extended incline. The road continues past the tunnel and connects to several trails, none of which I explored. There are also opportunities to climb some hills around the tunnel to get to the top. As we’re rustling though wet leaves, its hard to imagine that this tranquil plot of land has been the subject of so much controversy. In fact, its pretty easy to overlook the community entirely. The only sound is some laughing teenagers somewhere around a bend in the road ahead, and, if you’re close enough, streaming water from the Little River. If not for the leafless trees granting glimpses the near century-old vacation homes, you wouldn’t even know they’re there. Elkmont started as a logging base in 1908. Within a couple of years the logging company had a bunch of cleared out land and no way to make more money from it, so they started selling plots to hunters and fisherman, drawing outdoor enthusiasts out to the wilderness of the Smokies. Cottages and hotels started popping up on the mountain and an elite social club – the Appalachian Club – was established. But not everyone carried enough snobbery to get into this club, and the Appalachian Club rejects wanted their own fraternity as well. So, made their own group – the Wonderland Club – and Elkmont continued its transformation to an elite vacation spot for wealthy Tennesseans. To keep shuttling people into Elkmont, the logging company let people travel in on its railroad, even creating a nonstop shuttle from Knoxville. But once the loggers had finished with the mountain, they left like a thief in the night and took their railroad tracks with them. Of course, the Appalachian Clubbers – including the then-Tennessee governor – and their lower-class counterparts the Wonderland Clubbers were not to happy about this. 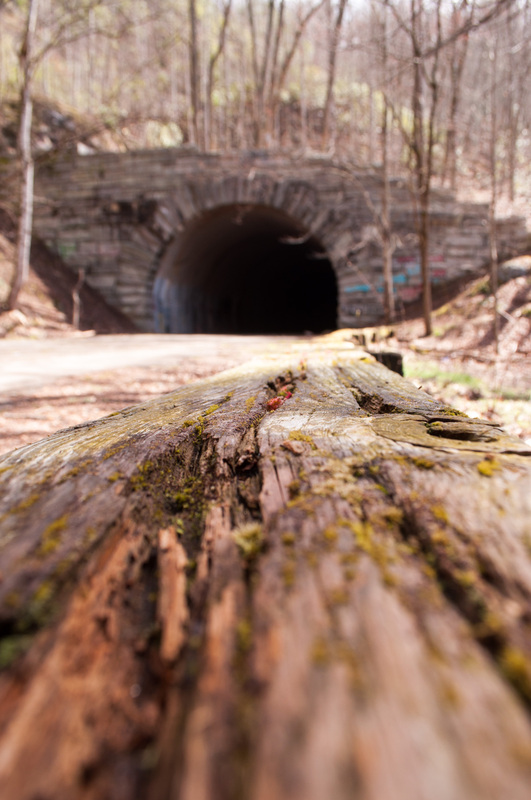 But never fear – the path left by the railroad was perfect for roads, so transportation was soon restored and everyone went back to their hunting, fishing and socializing. When my parents visited Elkmont last summer, they walked past several of the decaying dwellings before they realized there was anything around the path. Some of the old homes from Elkmont — those that were determined to have some kind of historical significance — have been moved to a display of sorts called “Daisy Town” that’s maintained by the National Park Service. But the ones that remain are in various states of disrepair. 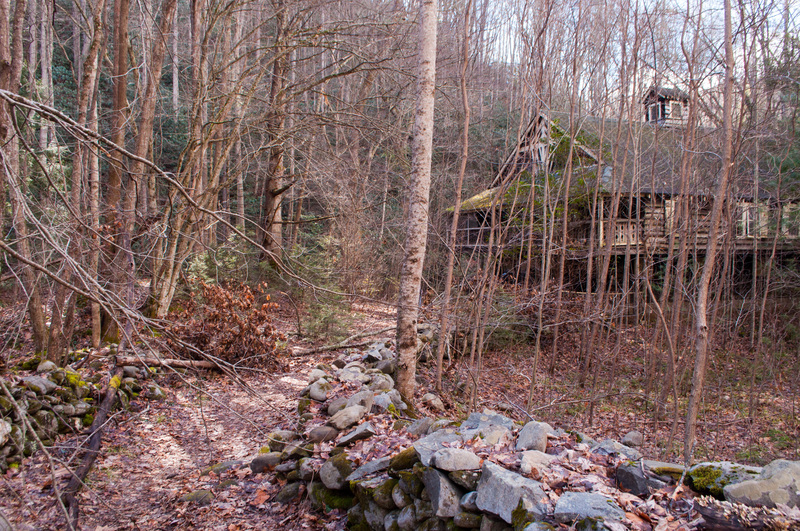 The decision to let these cabins be claimed by the mountains was about 50 years in the making. With controversy one – the railroad debacle – out of the way, Elkmonters moved on to what would become controversies two through 575, and all because someone went to Yellowstone. Willis P. and Anne Davis suggested creating a National Park in the Smokies, but didn’t follow up on it. However, David C. Chapman took the idea and shared it with some influential Tennessean legislators. (Remember the Appalachian Club? Friends in high places.) Once the National Park designation started rolling, opposition sprang up. A group consisting of logging companies and mountaineers wanted to have the spot designated a national forest instead of a national park – because that would give them more freedom to use and develop the land instead of it being returned to and maintained in its natural state. They ultimately lost that battle, but their fight did result in Elkmonters being excluded from eminent domain. Instead, they were able to sell their land for half its value and get lifetime leases in return. These leases let the owners keep the land until the last person on the deed died, and then the property would go to the park. People in other parts of the park weren’t so fortunate; many of them were forced to sell their land to the Park Service and relocate. These lifetime leases were renewed in 1952 and 1972, but not in 1992. By that time, the area was again wrapped in controversy. The park’s management plan at the time called for all of the Elkmont buildings to be removed so the area could be returned to its original, wild state. But all that changed – again – in 1994 when several buildings were placed on the National Register of Historic Places. A 15-year debate ensued. On one side were the conservationists – those who wanted everything removed and no trace of humans left. On the other – those who wanted to preserve the area, or at least the parts that represented the history of it. Finally, a compromise of sorts was reached. 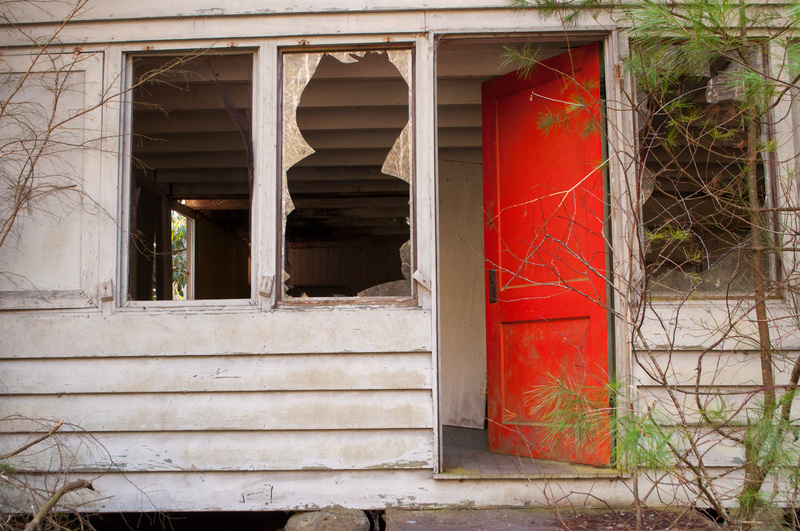 The Park Service decided to restore the Appalachian Clubhouse and 18 other cottages and outbuildings. But while the argument raged, the Wonderland Hotel, among other buildings, had already decayed to the point of collapse and the even the buildings they decided to keep had fallen into greater disrepair. Today, you can see the cottages that were kept in “Daisy Town” or rent the restored Spence Cabin. If you’re feeling outdoorsy, you can reserve a spot at the busy Elkmont Campground and pick up one of the trailheads in the area. Overall, the area is very accessible. Daisy Town has convenient parking and is mostly level. The road and paths that took us through the abandoned homes were also mostly level, but there were some inclines. 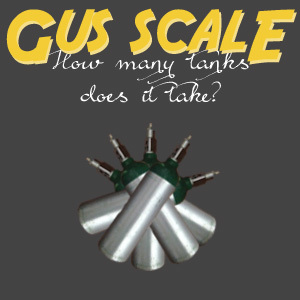 I’d rate it a three on the Gus Scale. To get there, take Little River Road past the Sugarland Visitors Center and follow signs to the Elkmont Campground. Check out our obligatory Stone family photo. The trip was a “Congratulations! You took longer to finish college than Tommy Boy!” gift for FINALLY finishing my bachelor’s degree. It only took eight years and four months to finish — more than double the time it should have taken. But stopping to work, or taking an internship (or two) or just cutting back to save money stretches out that time frame just a bit. So with a carefully budgeted oxygen supply, we loaded up and set off for a much-needed three-day weekend. My oxygen method of choice is using small, portable oxygen cylinders, also known as “E-tanks.” They are about 18 inches long, 5 inches in diameter and weigh a few pounds. I named him Gus. Gus came with his own plain, black tote bag he straps into and gives him room to breathe – because you don’t want a leaky tank creating an oxygen pocket in an air-tight space. That could mean a BIG explosion. Usually, I’ll take that ugly black bag, strap in a tank and throw in my wallet and wear that crossbody while I’m running around. But for this trip, I decided to upgrade my oxygen transport method. Instead, I got a mint green version of this backpack from Target, big enough to hold my tank, wallet, camera – and even a pocket for my lipstick! — and hauled that around all weekend. A short walk from a nearby parking area will get you to this cascade, but it also attaches to trails that continue to Laurel Falls. Fortunately, we didn’t have to plan too many activities around my breathing, most of what we did involved little walking. We did attempt a “hike” — it was less than a mile, but it was long enough for me. A short trail led back to Cascade Falls, where I nearly got in a fight with rude people who kept walking into my pictures. (Seriously, people. If you see someone with a camera up to her face, maybe you shouldn’t walk right in front of her — especially if she’s carrying a metal can on her back. I’d say if that hits your face, you’ll feel it.) For the short trail back to Cascade Falls, I’d rate it three oxygen tanks because its easy getting back, but tricky getting out back up the hill. Until the park service acquired the land in the early 1900s, this land was owned by farmers. 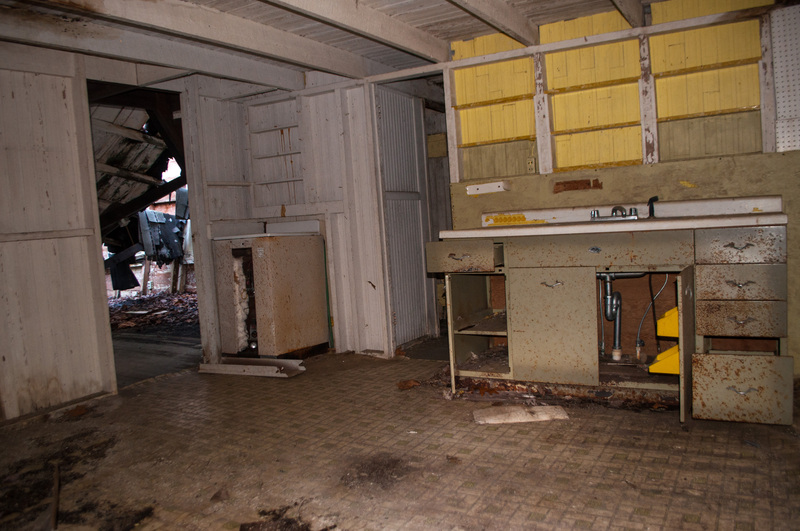 Some cabins still stand and are maintained by the Park Service, but many of them were abandoned and removed. Hailed as one of the secret spots of the Great Smoky Mountain National Park, Greenbrier is an area of the park somewhat off the beaten path. It’s proximity to hiking make it a great area if you’re wanting to hit some trails and it also has a river that allows tubing and fishing. Of course, I didn’t try any hikes and getting in a tube in January didn’t seem like a great idea, so I can’t personally vouch for any of these activities. But I can tell you that the drive getting back to the Greenbrier area of the park was exquisite. In spring, you can see a plethora of wildflowers, but in winter the color palate is a little more basic. The only visible leaves were reduced to a dead, brown crunch under our feet and the only color to break it up the bright green moss covering rocks and trees and bits of fern peeking out from the leaves. I imagine the much-touted wildflowers in this part of the park are something to behold; this is definitely a place I want to return to in the spring.